To develop institutional and national capacity that results in the implementation of successful ex situ amphibian conservation programs in the context of integrated amphibian conservation plans. The Amphibian Ark instructor team consists of experienced professionals from the zoo, academic and private communities. We utilize qualified local and regional instructors working in their native languages as much as possible. All instructors make their services available at no cost to Amphibian Ark or course participants. We are grateful for their valuable contributions to helping further amphibian conservation through their roles as instructors and mentors. 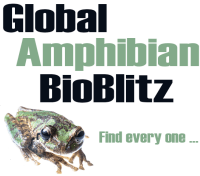 To provide technical skills necessary for long-term management of ex situ populations of amphibians, from species selection to reintroductions, with a focus on husbandry, health, biosecurity and population management. To build networking capacity for practitioners in range countries/areas/regions to better work together in taking charge of the conservation of local species. 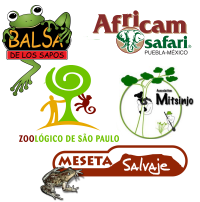 To stimulate interest in amphibian conservation in the regions. To provide guidance on developing regional conservation plans and strategies for collaboration with in situ conservation practitioners and municipal partners in the regions.